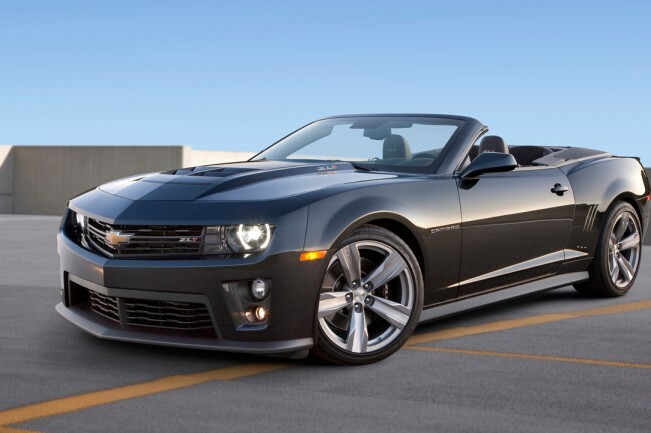 It has been revealed that Chevrolet will be showcasing their brand new convertible 2013 Camaro ZL1 at the Los Angeles Auto Show later this year. In the words of Al Oppenheiser, Chevrolet official, this car would be “one of the most capable and powerful convertibles” in the market when it launches. The Camaro ZL1 convertible has been advertised to give outstanding performance on tracks as well as roads. Performance Traction Management which was developed by General Motors (GM) will be provided with the Chevrolet Camaro ZL1 Convertible. The efficient traction control would result in better handling of the car while turning at high speeds. The Performance Traction Management enhances the acceleration and track gripping capabilities of the Camaro as it incorporates traction control, launch control, magnetic ride control, and electronic stability control. Chevrolet has used innovative framework and powertrain technologies that make the Camaro a powerful car. The GM engineers have provided structural reinforcements such as a hydro foamed tube in the A-pillars, an inner reinforcement bracket in the windshield header, a reinforced front hinge pillar and reinforcements inside the rockers.These reinforcements have greatly reduced the body and ride motions and improved noise and vibration characteristics.